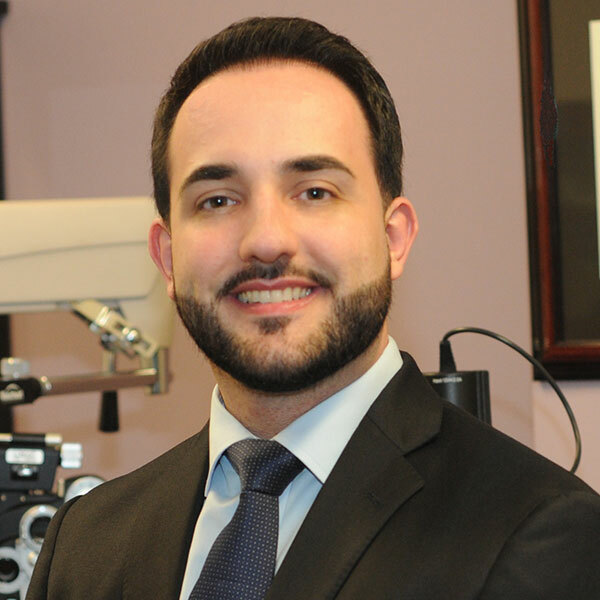 Dr. Fikret Kajoshaj, or often times referred to as "Dr. K", is an eye doctor at Metro Eye MD, both at Bayside and Astoria offices. He is first-generation American from Brooklyn, NY. He is of Albanian heritage and was raised on the Upper East Side of Manhattan. Dr.Kajoshaj attended St. John's University in Jamaica Queens where he obtained his Bachelor of Science degree in Biology and Chemistry. He then achieved his Doctorate in Optometry at Nova Southeastern University, in Fort Lauderdale, Florida and went on to successfully complete a residency in ocular disease at the Hudson Valley Veterans Hospital. Dr. Kajoshaj is ACMO (Advanced Competence in Medical Optometry) certified by the National Board of Examiners in Optometry (NBEO). Dr. Kajoshaj provides patients with comprehensive eye exams. He has extensive experience and knowledge in the diagnosis, treatment and management of eye disease including but not limited to: glaucoma, macular degeneration, diabetic retinopathy, cataracts, blepharitis, dry eyes, allergies, eye trauma, floaters, and more. Dr. Kajoshaj does consultations for laser vision correction and cataract surgery. He also sees post operative patients and eye emergency visits. Dr. Kajoshaj also takes pride in his meticulous refractions and precise eyeglass prescriptions. Dr. Kajoshaj is certified to use BlephEx®, a device which treats patients suffering from blepharitis and chronic dry eye syndrome. He also has experience using Prokera®, a therapeutic contact lens made of human placental tissue used in the treatment of severe and/or chronic corneal disease and injury. Dr. Kajoshaj is sincere, passionate and very enthusiastic in his nature. His pleasant chair-side manners makes him very approachable. His thorough style of practice makes him a unique and valuable asset to the practice. After every exam, he makes sure his patients have all their questions answered before they leave the office. Outside the practice, Dr. Kajoshaj enjoys spending time with his family. On his downtime, he enjoys watching movies and mixed martial arts. He also enjoys fine Italian and Mediterranean dining. He is a proud New Yorker and a huge fan of the NY Jets and NY Knicks.